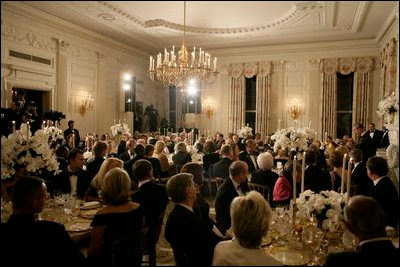 A formal Dinner in 2007 for Prince Charles and the Duchess of Cornwall planned by Mrs. Laura Bush in the State Dining Room. 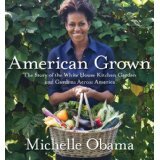 Michelle serves salad from her Kitchen Garden for the outdoor dining her invited guests from Bancroft Elementary in the Jacqueline Kennedy Garden off the East Colonnade. 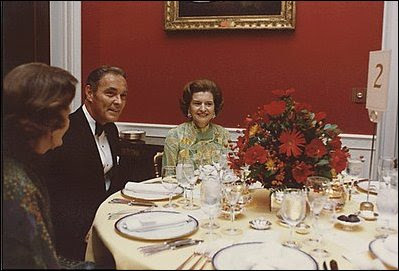 For the height of formality, state dinners and other functions meant to showcase the White House while eating a world class gourmet meal take place in the State Dining Room. It seats, at most, 140 for a sit down state dinner. Just past the State Dining Room, the Family Dining Room this past spring hosted its first Seder attended by the First Family. 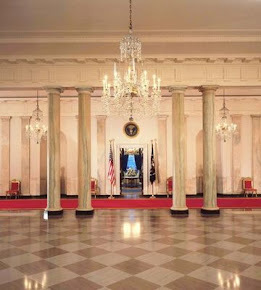 On the first floor, the Family Dining Room is usually where holidays are celebrated with favorite dishes served at the White House for invited personal guests if the family is in residence on the holiday. Can you name all the dining places to eat in the White House?